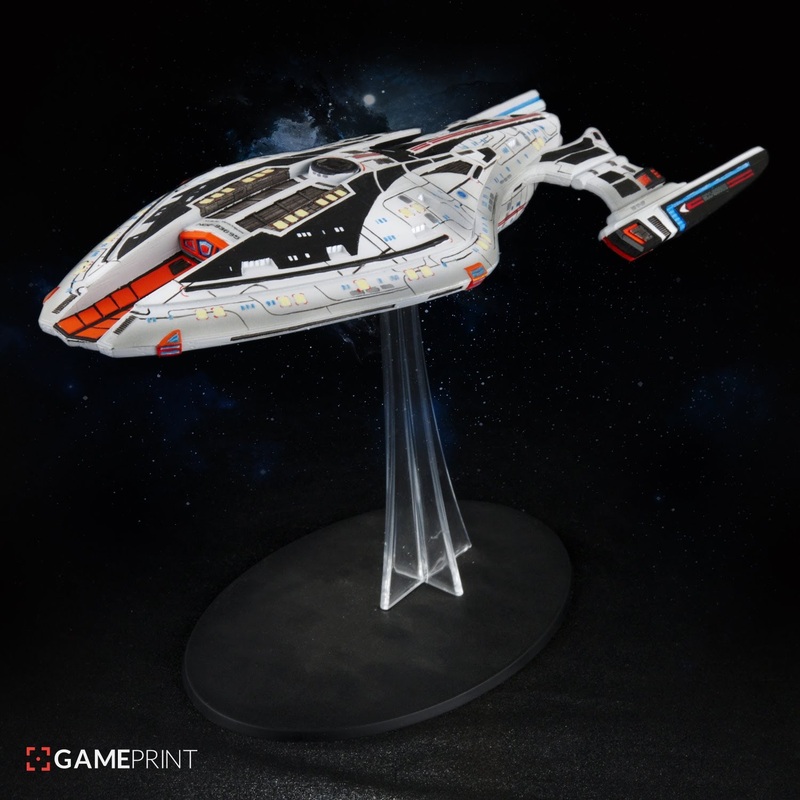 Star Trek Online has announced a new partnership with Mixed Dimensions to offer the ability to 3D print ships from the game. Almost all of the over 500 ships available in the game will be available to order, exactly as you have customised them in-game (only about 15 ships won't be available due to them being physically impossible in the real world). The ships will be available in three different options, but they are all 12-ish inch long resin models. You can either get a fully hand-painted version, or a solid colour print (so you could make your own collection of golden ship models for your conference room), or a primed plain grey version, ready to be painted at your leisure. 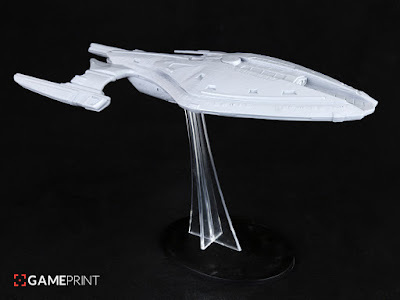 Continue below to check out images of one of those ships, in both painted and unpainted forms. Mixed Dimensions will also be offering a range of 20 popular ships from the game available to order straight from their site; so even if you don't play STO and have a ship to upload, you can still get a neat model starship. 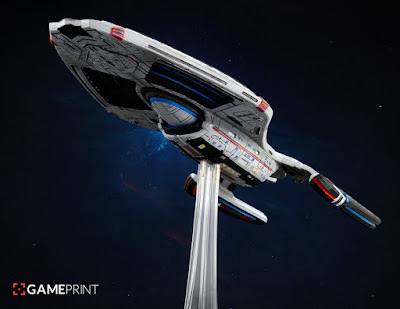 Details of pricing, which ships won't be possible, and what the 20 ships available to everyone are, will be released closed to the launch next month. Did this story seem familiar to you? Well yes this sort of service was announced a couple of years ago via another company, which no longer exists. After that fell apart STO have taken pains not to announce this service too far in advance, so are feeling more confident about it actually happening!